The Sapphire Solid Torque is a wonderful solid 925 sterling silver torque which oozes style and glamour. 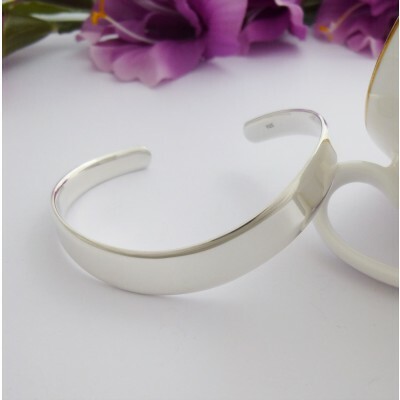 A highly polished silver torque that has sleek curved edges with a weighty, quality feel to it. The Sapphire Solid Torque is a beautiful bangle that would make a fabulous present for your glamorous loved one. 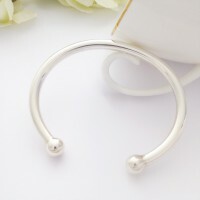 We at Guilty Bangles love the stylish Sapphire Torque, with its open back design, this bangle is perfect for ladies with small or large sized wrists. Hallmarked in the UK and made out of highly polished 925 sterling silver, the Sapphire Torque is a very popular Torque. 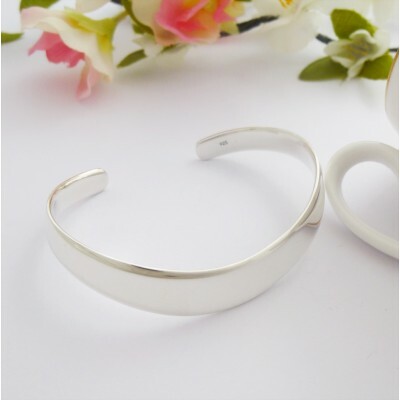 It has an internal diameter of 60mm and measures approximately 11mm at its widest point. Hallmarked in the UK and made out of highly polished 925 Sterling Silver. 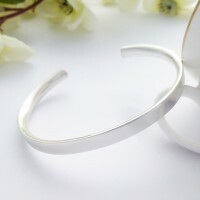 It measures approximately 60mm in diameter and 11mm thick.